You know those days that start out with the potential to be so great but then turn out to be less than great? 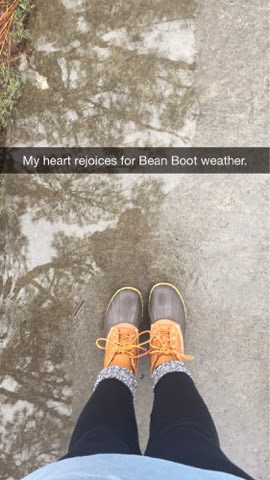 I woke up early this morning, read through a chapter to be extra prepared for class, actually put makeup on, and then walked across campus through all the puddles because I had my cozy bean boots to keep my feet warm. And then I walked into class fifty minutes late. An actual snapchat sent to my friends on my way to class when I saw that I was going to be early. Why does this sort of thing always seem to happen? I was mortified when I walked in and realized that the lecture was almost over. 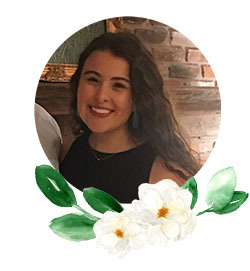 I mean, I just blogged about getting to class early on the first day! So now I'm stuck with a rainy day and I'm in a bit of a funk. 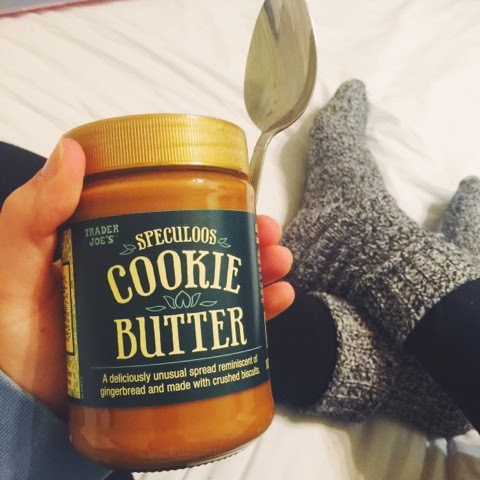 Cookie butter might not be a cure-all, but it's a start. How do you get over less-than-perfect days?